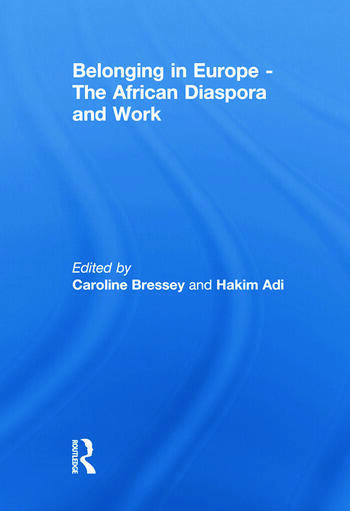 This publication does not just mark the presence of black people in Europe, but brings research to a new stage by making connections across Europe through the experience of work and labour. The working experience for black peoples in Europe was not just confined to ports and large urban areas – often the place black people are located in the imagination of the European map both today and historically. Work took place in small towns, villages and on country estates. Until the 1800s enslaved Africans would have worked alongside free blacks and their white peers. How were these labour relations realised be it on a country estate or a town house? How did this experience translate into the labour movements of the twentieth century? These are some of the questions the essays in this collection address, contributing to new understandings of European life both historically and today. This book was originally published as a special issue of Immigrants and Minorities. Caroline Bressey’s research focuses upon recovering the historical geographies of the black community in 19th century Britain, especially London. Parallel to this are her interests in ideas of race, racism, early anti-racist theory and identity in Victorian society. She has worked as a curator and is a lecturer in the department of geography, University College London.